PB is the right choice. At PB, we understand pothole patching. For over 45 years, we’ve been designing quality pothole patchers that are durable, long-lasting and built for year-round patching operations. When you need a pothole patcher, look to PB. From truck-mounted patchers to dump body slip-in, hook lift mount and trailer models, PB makes patching a whole lot easier. Hot Patching is the Best Method. Highway engineers and street maintenance supervisors know that hot-mix is the most effective technique for repairing potholes. The best way to make a permanent patch is to remove the old material, create a firm base, tack the hold edges, add asphalt mix, compact the material and seal the patch. Hot patches are more durable and last longer than any other patching methods. One Patcher for all Your Needs. 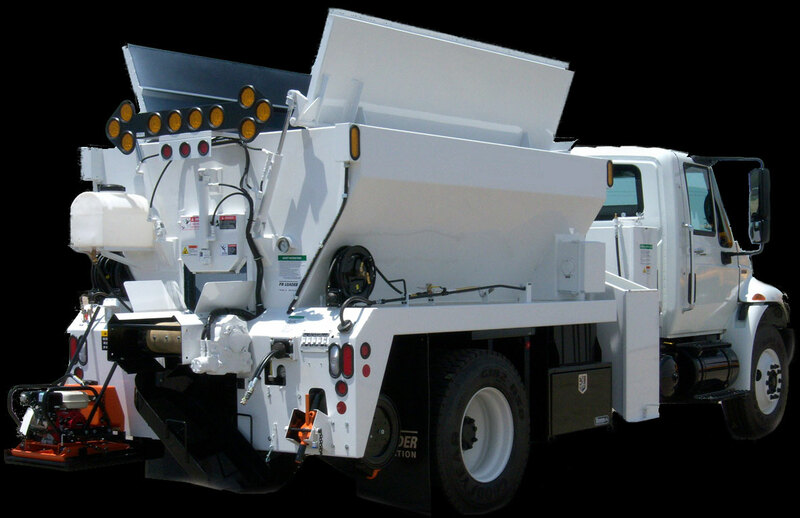 B Patchers are fully equipped for complete asphalt patching and can be mounted on any chassis. Each unit is easy to operate, easy to maintain, and designed so that just one person can tackle patching jobs with just one machine. PB Patchers can also be used to repair road shoulders and utility cuts, as well as spread salt, sand and chippings.